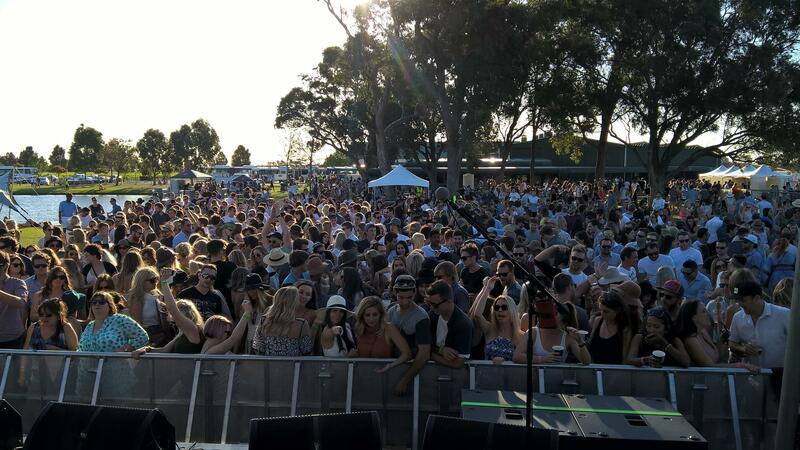 The Nightcruiser Party Bus Tours Perth Crew compiled this information allowing you to “Know your Place” when it comes to Concert and Events Venues in Perth and Western Australia. Nightcruisers are famous for Concert Transport in and around Perth. We cover the largest area from Mandurah to Two Rocks inc. Country Centres by request. It all started years ago when the Ministry of Sound Concerts where the biggest and later with all night Club Concert shuttles. Dover Street, MandurahThe venue holds about 10,000 people and has a lighting capacity good enough for WAFL night games. A new grandstand, change room and administrative buildings was completed in 2011, providing Peel Thunder with some of the best facilities in the WAFL. Roberts Road, SubiacoDomain Stadium (traditionally known as Subiaco Oval), is the largest and most recognised stadium in Western Australia with a capacity of over 43,500.The home of Australian rules football in Western Australia, being the home ground for the West Coast Eagles and Fremantle Football Club, the two Western Australian teams in the Australian Football League. The ground is also used for occasional West Australian Football League matches, including the competition’s yearly grand final. The stadium has also hosted Perth Glory games, including two National Soccer League grand finals, International rules Test matches, rugby union games and rock concerts. It was the home ground for the Wester Force between 2006 and 2009.Nightcruiser call on Patersons Stadium all the time for AFL Sports, Events andConcert Transport. 8731 West Swan Road, Henley BrookNightcruiser have been calling here since it opened for Brewery Tours, Birthdays, Hens and Bucks Days, Oktoberfest, Concerts, Functions Transport.German-themed brewery, restaurant, bar and smallgoods shop located in the heart of the Swan Valley.Surrounded by picturesque vineyards and bursting with Swan Valley character, Elmar’s in the Valley is one of a kind. Elmar’s restaurant encompasses the elegance of Bavarian hospitality with its solid timber floors, tables and chairs in an open plan environment. This relaxing rustic area has topiary and planter boxes mingled amongst the seating, giving a wonderfully warm and inviting atmosphere. Outside the restaurant is a huge two acre beer garden, bringing a mix of the indoor European and outdoor Australian lifestyles.Enjoy spacious indoor dining, relax in the huge beer garden or simply stop by for a drink at the bar. The menu caters for all tastes, featuring traditional German foods. Elmar’s in the Valley is also the perfect venue for group bookings, corporate functions, weddings and much more! Fremantle Arts Centre hosts a number of big concerts on the 3400 capacity South Lawn, along with smaller more intimate concerts in our Inner Courtyard throughout the year. Musicians to have graced the South Lawn stage include Tame Impala, Xavier Rudd, The Dandy Warhols, John Butler, Bernard Fanning, Roots Manuva, Groove Armada, Damien Rice, Cat Empire, Xavier Rudd, Sarah Blasko and Paul Kelly. HBF Arena was officially opened in 1994. Set on 35 hectares of landscaped parklands it is located 25km north of Perth and just a stone’s throw from the heart of the Joondalup city centre. HBF Arena is the most well-known sporting and entertainment venue in Perth’s north and is affectionately known as “the heart of the community”. The arena acquired its new name in 2014 following a naming rights agreement. Civic Centre, 23 Dundebar Road, Wanneroo. Leederville Oval is an Australian Rules Football ground located in Leederville, a suburb of Perth, Western Australia. Metro City is at the forefront of Concerts, Super Clubbing and Entertainment. Showcasing some of the Worlds finest live acts, DJs and Performers.The Nightcruiser has been calling on this venue since it opened for all night party tours, concert shuttles and transport. Taylor Street, Victoria ParkA picturesque riverside park with the Perth City and Swan River as its background, McCallum Park offers a scenic location for the stunning displays and vibrant atmosphere for Concerts, exhibitions and festival. The stadium is also used by the WA Reds, a semi-professional rugby league team and has up to six major concerts per year.In 2003 an $11.4 million dollar major redevelopment was commissioned and funded by the State and Local Governments, which saw Perth Oval configured into a rectangular stadium in 2004. The serene surroundings of Oakover Grounds will host WA’s first Pork & Cider festival. Corner of Riverside Drive and Adelaide Terrace, East Perth and bounded by Plain Street to the west. Roberts Road, SubiacoPatersons Stadium (traditionally known as Subiaco Oval), is the largest and most recognised stadium in Western Australia with a capacity of over 43,500.The home of Australian rules football in Western Australia, being the home ground for the West Coast Eagles and Fremantle Football Club, the two Western Australian teams in the Australian Football League. The ground is also used for occasional West Australian Football League matches, including the competition’s yearly grand final. The stadium has also hosted Perth Glory games, including two National Soccer League grand finals, International rules Test matches, rugby union games and rock concerts. It was the home ground for the Wester Force between 2006 and 2009.Nightcruiser call on Patersons Stadium all the time for AFL Sports, Events andConcert Transport. 700 Wellington Street, PerthThe state-of-the-art Perth Arena officially opened in November 2012. The indoor sporting and entertainment arena has a maximum seating capacity of 14,500 and features a retractable roof.Its prime location within the Perth CBD brings it close to public transport, the freeway, the city centre and will serve as a vital link to Northbridge, as Perth’s premier entertainment destination.Perth Arena finally provides the capital of Western Australia with a large indoor arena – something the city has lacked since the closure of the Perth Entertainment Centre. As well as hosting concerts, the venue will be home to NBL team Perth Wildcats and will host the annual Hopman Cup tennis tournament. In Basketball mode, the arena has a seating capacity of just over 13,000 with the upper tier not in use for regular-season matches, however the Wildcats attracted a record 13,527 fans for the Grand Final in 2013.The state-of-the-art acoustic design makes Perth Arena one of the leading concert venues in the world. As well as the retractable roof and 14,500 seats, the venue also includes a 680 bay car park, 5 function rooms and a café and bar on the ground floor operating during event and non-event times. 5 St. George’s Terrace PerthPerth Concert Hall is renowned as having the finest acoustics in Australia and is located in the heart of Perth’s CBD. Anketell Road, Kwinana BeachThe Perth Motorplex, Kwinana Beach is conveniently located in Perth’s southern suburbs less than 30 minutes from the City centre.Opened in December 2000, the multi million dollar facility has become the centre of attraction for automotive based activities including Drag Racing, Dirt Track Speedway, Burnout competitions, Street Machine Car shows, Monster Trucks, Stunt Shows and Super Cross events.In addition the Kwinana Beach venue has hosted some of the biggest names in the Concert Industry including Guns n Roses, ZZ Top, Korn and Rose Tattoo.The facility boasts excellent access from Anketell Rd leading to a generous car park where patrons can choose from convenience parking or free general parking. All spectator areas have great viewing with Silver tickets and Gold reserved seating tickets with pit paddock access being the most popular. Lot 2 Toodyay Road, Red HillRed Hill Auditorium is a world class, multipurpose outdoor concert venue.Red Hill Auditorium has been designed as a fully tiered circular auditorium offering fantastic sight lines to the stage for all patrons.However, getting an uninterrupted view of your favourite artist performing is not all you’ll see. Beyond the stage, you can view stretches of a panoramic vista of the cityscape. Once the sun goes down and city lights come to life, the picture is completed perfectly with a truly breathtaking backdrop. Their team is working hard to bring you creative seasonal programmes in the most exceptional environment. Experience authentic at their iconic beach bar. Sample one of their Blacksalt Beers which are brewed on site! Wellington Square is a public parklocated on Wellington Street in thesuburb of East Perth inPerth, Western Australia. It stages many events throughout the year and they are popular around the Lake areas. Nightcruiser call on this venue for Concert and Function Transport. We perform Wedding Guests Transport including late-night returns. We also visit the Cellar door for Wine Tastings and Lunch stops.